The term Rubber Mouldings covers a wide range of rubber types, each possessing material characteristics suited to specific applications. We are able to provide expert advice on the use of the right material for your own rubber component applications, but the following list provides a simple reference for the main rubber types and their properties. The summary lists the key advantages of each material, but care must be taken to ensure the overall properties of the rubber before final selection. Contact us for a full technical specification and advice on material selection. a temperature resistant material ideal for many aerospace, automotive, appliance and electrical requirements. It is also a significantly more costly option. resistant to petroleum oils and aromatic hydrocarbons, NBR has high resistance to mineral and vegetable oils and acids with good elongation, resilience, tensile and compression properties. a new member of the Fluorelastomer class, Viton® is resistant to a wide variety of corrosive fluids at elevated temperatures with good tensile strength, resilience and low compression. an all-purpose elastomer, resistant to ozone, sunlight, oxidation and many petroleum with the added advantage of good resistance to water and many chemicals with good resilience and tensile strength. Key advantages of high resilience, good tensile strength, tear resistance and notable wear resistance, with low permanent set characteristics and good flexing qualities at low temperatures. ideal for outdoor applications, resistant to ozone, oxidants, and severe weather. Excellent colour stability, heat resistance, and dielectric qualities. Offers the advantages of neoprene, at a lower cost. provides very fine abrasion, wear, and tensile qualities and can be a lower cost substitute for natural rubber in many applications. SBR has essential properties about the same as Natural Rubber. good elongation and high tensile strength, with excellent abrasion and tear strength and good resistance to ozone and oxygen. Polyurethane has low coefficient of friction. ready adaptable for use with electricity, temperature extremes and a wide range of chemicals, Fluorosilicone has a high resistance to flame, weather, oxidation, ozone, silicate hydraulic fluids, alkalis, alcohol and synthetic lubricants. outstanding resistance to most chemicals, heat and oil; flame resistant, excellent colour stability, weather and abrasion resistance. Low moisture absorption, good dielectric qualities, and high abrasion resistance. 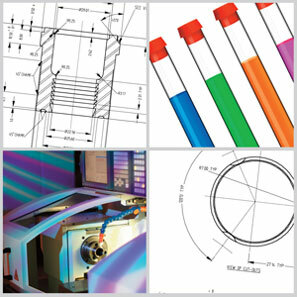 Fairham Mouldings provide a complete in-house design and manufacturing solution for precision rubber mouldings, with facilities available to meet the most demanding client specifications. Supported by associated tooling facilities including cutting and welding equipment.